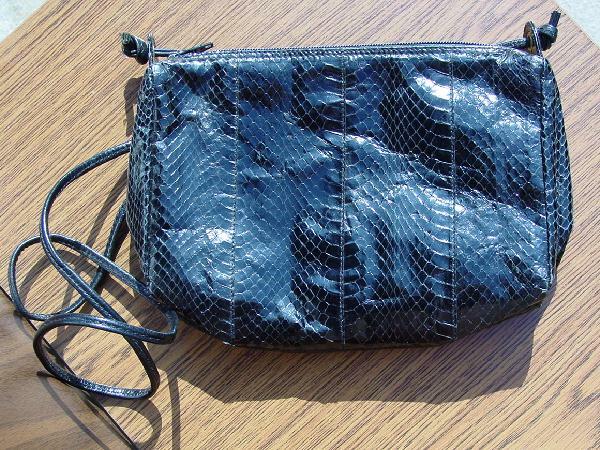 This vintage black snakeskin purse has a top side to side zipper and a 44" long shoulder strap. It has a black lining with a fabric-lined interior zipper pocket. A model wore it in New York slung over her head and shoulder. It fit nicely under coats and jackets, and was safe, easily accessible, and looked great.